The unemployment rate is as low as it’s been since the turn of the millennium. For recruiters, that means one thing and one thing only – we’ve got ourselves a candidate-driven market. As a recruiting professional, you don’t choose talent in this climate. With the supply of jobs often outstripping the supply of manpower, the roles are reversed. Talent chooses you. So the question must be asked – why would top talent pick you over another recruiter? 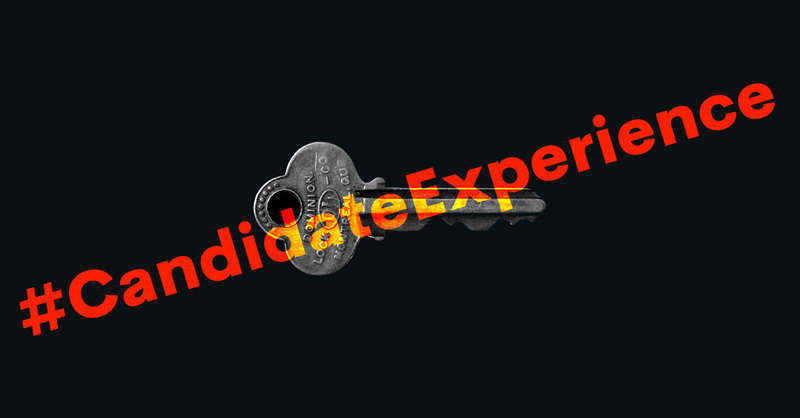 The answer can be encapsulated in two words: candidate experience. The term is somewhat self-explanatory, but in essence, the candidate experience is the candidate’s overall perception of a firm’s recruiting process. Do they feel cared for? Is the apply process simple? Are they being listened to? Is every effort being made to place them in a role that they’ll enjoy? This experience covers a broad range of processes – sourcing, applying, interviewing, hiring, onboarding, contractor care and redeployment are all key parts of the candidate experience. But in today’s climate, the traditionally inactive periods outside of these processes are becoming just as important. Continually engaging with your candidates, whether they’re looking for a job or not, is often the differentiator between average recruiters and great recruiters, and between attracting top talent and seeing it go elsewhere. So let’s take a closer look at the candidate experience; a broad picture of what it looks like, and how it might be able to be improved upon. To do this we’ll break it down into three categories – pre-hire, post-hire and employment brand. Each of these categories brings with it a wealth of opportunities for interactions with a candidate, called touch points. In fact, a candidate can have as many as 50 touch points before they enter their first interview. Whether these interactions are positive or negative will have a greater influence on the candidate experience than anything else. First impressions count, and pre-hire processes offer recruiters the opportunity to make the very best one possible. In one way, sourcing new candidates has never been easier. The internet has granted recruiters almost instant access to talent, via their own job boards, career sites like Monster, social media networks like LinkedIn, employer review sites like Glassdoor, and search engines like Google. But while it may be easier than ever to find and contact candidates, attracting them has never been harder. Why? Because on the great leveler that is the internet, every other recruiter is doing the exact same thing. One way to avoid the unbridled competition of the World Wide Web is to use the resources that you already enjoy. Your ATS might have thousands of applicants who haven’t been contacted in a long time. By systematically re-engaging with these long lost candidates, you’ll enjoy a brand new source of talent that none of your competitors has access to. Once sourced or re-engaged, it’s time for jobs to be applied for and (ideally) interviews to be attended. The key to a great candidate experience at this point is simply transparency. Whatever you know, they know. And if you don’t have anything to update them on, send them an update telling them just that, and give them an indication of when you might hear news. Offer an alternative to applying for a job: Many candidates are simply seeing what’s out there, and may not want to apply for a job straight away. Make sure you give them a way to stay connected with you even if they aren’t actively looking for a new position right now. Automate re-engagement procedures: There are a wealth of recruitment marketing automation tools that take the labor out of combing through your ATS for candidates to re-engage. Set a tool up to check-in with a candidate via email after a predetermined period of no contact. Be clear on your process: Candidates will tell you that there’s nothing worse than being left in the dark. Be as clear as possible on your process, showing exactly how it works and how long certain things might take. Commit to updating your candidates regularly – every Friday for example. Offer comprehensive feedback: ‘Why didn’t they choose me?’ It’s the question that every unsuccessful candidate understandably wants answered. By offering up comprehensive and constructive feedback, you’ll be putting yourself ahead of a large chunk of your competitors. Once a candidate is successful in an interview, the post-hire process begins. And unlike a worrying percentage of recruiters, those who offer a great candidate experience know that the post-hire process is far more intricate and multi-faceted than simply handing the contractor over to the employer. The first step is onboarding, ensuring that the contractor is comfortable with the how, the what and the why of their new position, and that the new employer has all relevant information on the contractor. If a recruiter follows a well-structured onboarding process, the candidate/client relationship will get off to the perfect start every time. But a recruiter’s job doesn’t stop there. If you want the candidate experience to be the best that it can be, you must provide ongoing contractor care. ‘How have you found the first week?’ ‘Are you getting the support you need?’ ‘Are you comfortable with continuing if the contract is extended?’ These questions take a moment to ask, but are seriously appreciated by the contractor. They can also help you to minimize contractor churn, and get notified about changes in the circumstances of the client or contractor. A call or email to check in with placed candidates every Friday afternoon offers the perfect opportunity for a candidate to summarize their week, advise on changing circumstances and ask any questions of the recruiter. While it’s tempting to think of candidate experience as following a linear path, the best recruiters treat it as circular. Once a contractor has completed a placement, they begin the process again. Re-deployment is comfortably the most efficient and effective way to place candidates, with these reliable contractors already boasting a successful track record. Offering a great post-hire candidate experience can be extremely valuable – 95% of candidates are more likely to apply again if their first experience was a positive one. Automate the onboarding process: To succeed in their new position, a candidate must be supplied the right information at the right time. Automating the onboarding process with a smart tool will guarantee a consistent and efficient onboarding experience. Regularly contact a contractor throughout their placement: A call or email to check in with placed candidates every Friday afternoon offers the perfect opportunity for a candidate to summarize their week, advise on changing circumstances and ask any questions of the recruiter. Talk to candidates about their next move post-placement: Step one – know exactly when a contractor’s placement will finish. Step two – know exactly what sort of work that contractor wants to do next, and do your best to make the transition from placement to placement as quick and seamless as possible. But what about the experience of those outside of the pre-hire and post-hire processes – the potential or long-past candidates that haven’t had any direct contact with you, but may well in the future? Whether or not these people choose to use a recruiter is heavily influenced by the firm’s employment brand. And the employment brand is in turn heavily influenced by the experiences of previous candidates – according to a survey of 180,000 candidates, 82% of those who rated their experience with a recruiter as 5-star were ‘extremely likely’ to refer other candidates to the same recruiter. But on the flipside, those who have a negative experience are generally even more likely to actively discourage anyone from using your firm. What does your recruiting firm stand for? What sets you apart from your competitors? To play to your strengths, you must first define them. So how do you ensure that your reputation is one synonymous with quality? Get a sense of your current employment brand: Through social media, Google, Glassdoor or a professional monitoring firm, you can quickly gain an understanding of your firm’s reputation, and where it stands amongst its competitors. Define your employment brand: What does your recruiting firm stand for? What sets you apart from your competitors? To play to your strengths, you must first define them. Use social media to spread the good word about your firm: According to CareerArc, 62% of jobseekers use social media to evaluate a potential employer’s brand. Use social media to give potential candidates an inside look at your operations, broadcast candidate success stories, and align yourself with industry influencers. Tie recruiter performance to candidate experience: Incentivizing recruiter performance is the quickest way to improve it. By rewarding the delivery of great candidate experiences, a firm’s employment brand will quickly and markedly improve. It’s a candidate-driven market. They aren’t dancing for you any more – you’re dancing for them. It’s not easy to be a successful recruiter in such a climate, but those who offer the finest candidate experience possible have a greater chance of doing so than anyone else. Modern Candidates Have Killed The Passive Candidates!! !